Provides deep, glossy shine. Leaves no streaks. For use on carbon fibre, chrome and plastics. 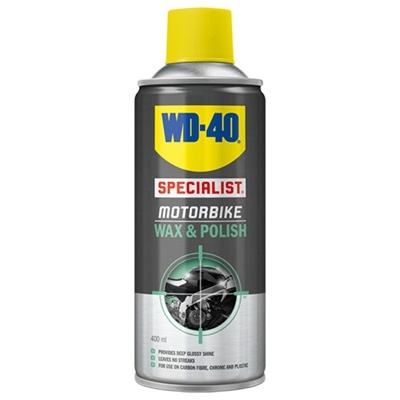 This product is designed to leave your bike with a deep glossy shine. The formula contains Carnauba Wax, one of the hardest naturally occurring waxes, which provides a wet look finish and long lasting shine. It’s great for repelling water, allowing it to bead off paintwork to maintain a fantastic finish for longer. It’s easy to apply and streak free. Easy to use, effective and great value for money.